This article with an interview from Bob Ross confirms it. That’s right, “Happy little trees” exist partly as a way to make money for a brand. Don’t get me wrong, I don’t see this as a cynical thing, I see it as an incredible example of providing value to to all so that those who can (and want to) support you, can. It’s the key to building a following today: give 95% away and monetize the remaining 5%. It’s why we send out a humor newsletter every Friday: to teach you how to use humor effectively. And if you want to buy one of our fantastic services that help you do that at the next level, that’s just swell. But if not, at least you can help add a little more humor to our world. 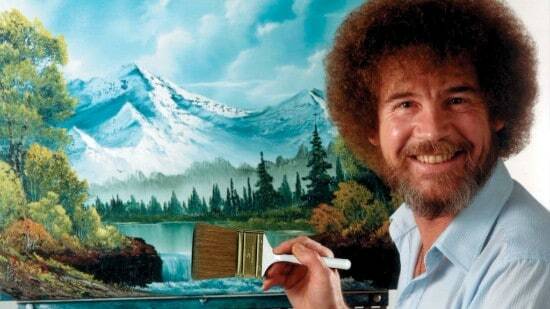 Because wouldn’t it be nice if we all had a little more Bob Ross in our lives.